The Rainbow Vet Dr Caroline Orli is the Gold Coast’s only vet solely dedicated to in-home pet euthanasia pictured with Ollie, 18 months, who is a long way from needing her services. Picture: Richard Gosling. IT'S the moment when a prison guard is in tears nose-to-nose with his rottweiler as the dog is quietly euthanised. Or a little girl starts singing to her pet as its life slips away. This is when Dr Caroline Orli witnesses "true love in its finest form" and the reason why she decided to become the Gold Coast's only vet solely dedicated to in-home pet euthanasia. "I get asked why I chose to do this a lot but I think it's kind of a calling, somehow I get positive energy seeing the strong bond between people and their animals," Dr Orli said of setting up her business, The Rainbow Vet, six months ago. "I see true love in its finest form. "Unconditional love is what animals always show us so I think it's important for people to say goodbye properly." 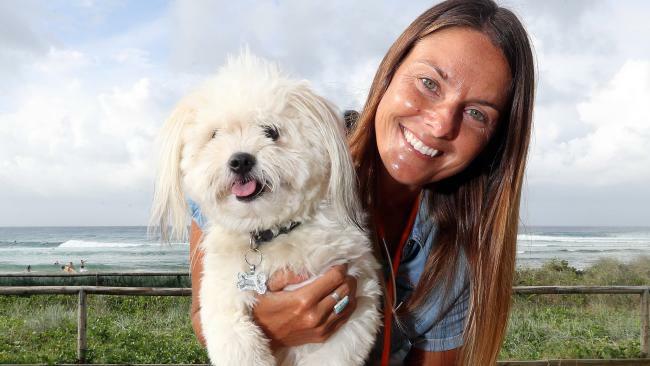 Dr Orli, 35, travels across the Gold Coast and northern NSW daily, allowing people to have as much time as they want to say goodbye to their pets. She said while working as a vet nurse for five years in a fast-paced clinic, she realised there was a need for more dedicated in-home services. And after encouragement from colleagues she studied veterinary medicine at the University of Melbourne, where she graduated 12 months ago. "What I saw as a nurse was people who came in didn't want to cry in front of the vet, they didn't want to get too emotional so they would leave before it happened. 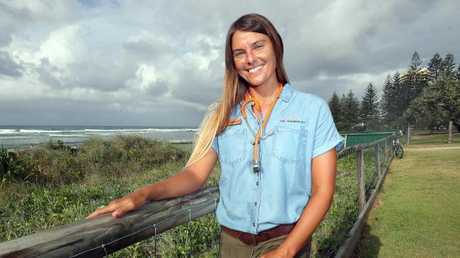 I hated that, because I knew they wanted to stay but they weren't ready for it," the former Currumbin Wildlife Hospital worker said. "(And) sometimes walking back through the reception (with a dead cat or dog in your arms) can be really overwhelming." With the Australian Veterinary Journal in 2008 indicating suicide rates among vets were about four times that of the adult population, she said it could be the fast, intensive nature of vet surgeries that added to the stress of the job. 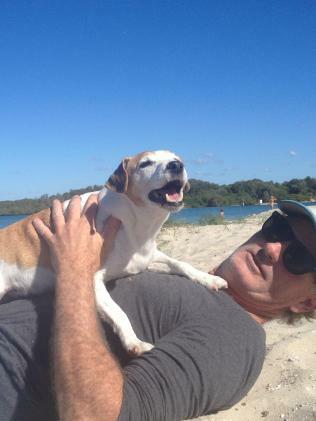 Michael Brown with his jack russell Lozzy who was put down at their home in October by Dr Caroline Orli. "I think a lot of vets are perfectionists and want to do the best work you can, but that's the unfortunate thing when you get into the clinic because everything is so fast-paced," Dr Orli said. "There are 15-minute consultation times and there's so much pressure for turnover and you want to please everyone but you just can't, you don't have enough time, especially with euthanasia." She said the emotional anguish pet owners went through in the clinics inspired her to work to ensure pet owners could access a peaceful and respectful end for their pets. By visiting homes, Dr Orli said she had the time to make sure pet owners were ready to say goodbye. 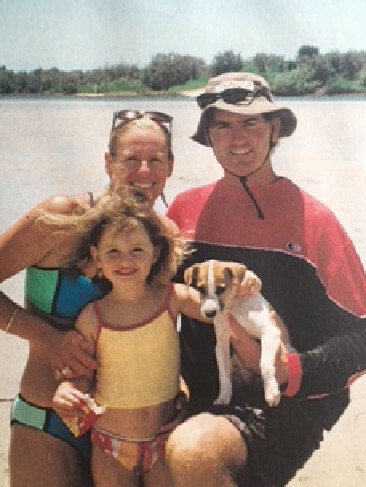 Kisane and Michael Brown (couple) with daughter Kaelani and their jack russell Lozzy who was put down at their home in October by Dr Caroline Orli. "It helps because for a lot of people, their pets are like babies that they've had for up to 17 years," she said. "At homes I've had people light candles, I had one guy play guitar, I had a little girl just singing the whole time, which is beautiful. "Men tend to take it a lot harder than women. "A client I had was this big prison worker and he lay down nose-to-nose with his rottweiler. It was the ultimate goodbye." 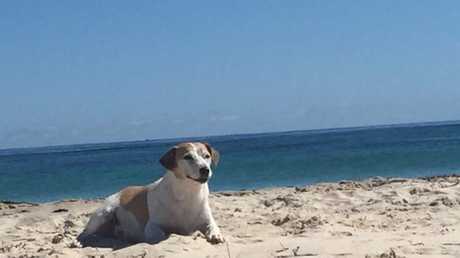 Jack russell Lozzy who was put down in October by Dr Caroline Orli. 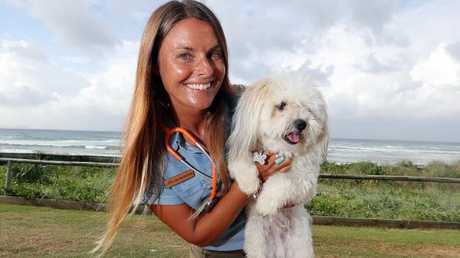 Kisane Brown said she was "blessed" to have been referred to Dr Orli by her local vet when they recommended her 15-year-old jack russell Lozzy be put down in October last year. "It was such a difficult time and Caroline made it so easy, Lozzy passed away with my hand on his heart," Ms Brown said. "We were absolutely blessed to come into touch with her. It as so calm and peaceful, she really prepared us for what was going to happen. "He passed in front of our eyes and we were able to bury Lozzy in our front yard, it's funny but it feels like he's still here."